Disclosure: In order to facilitate this review, my family and I received tickets to Cedar Point and a night’s stay at Hotel Breakers at no cost. All opinions are honest, my own, and may differ from yours. Hotel Breakers at Cedar Point first opened in 1905. 110 years of vacationers. That is just so cool to me. Think of all of the people who have stayed at Hotel Breakers over the years. Imagine all of the amazing memories made there. My kids and I got to make our own Hotel Breakers memories recently. 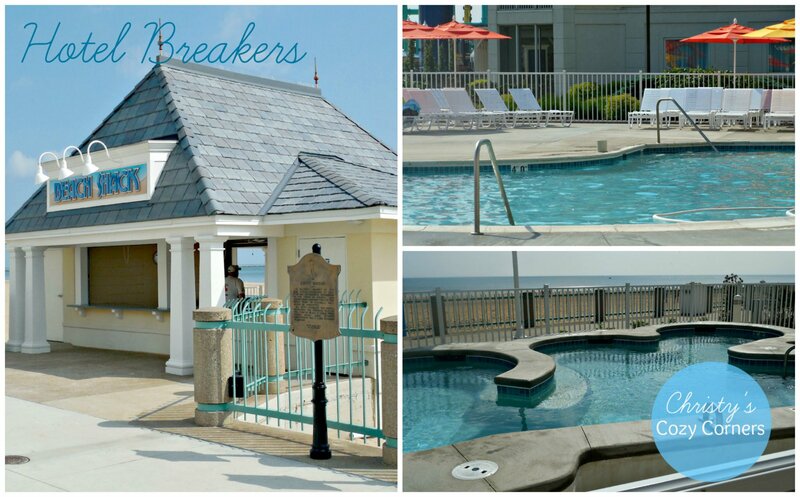 Click on the picture to read all about Hotel Breakers 2015 renovations! 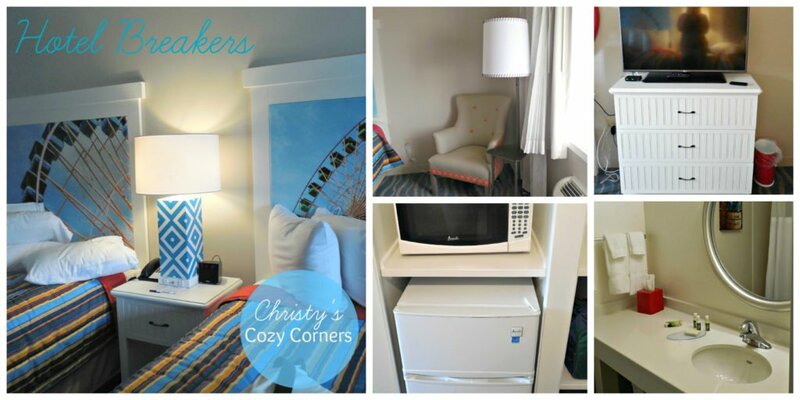 Hotel Breakers has so much to offer vacationers. 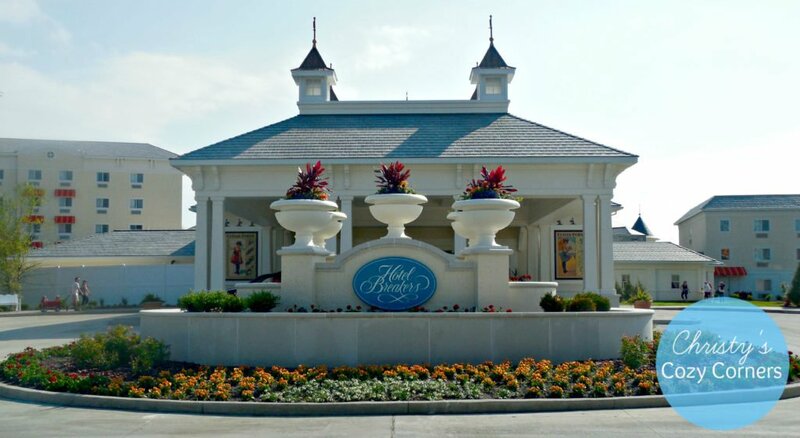 When you stay at Hotel Breakers, you are literally steps away from an entrance to Cedar Point. You also get best price tickets, free parking with in/out privileges, one hour early admittance and free shuttle service throughout Cedar Point peninsula. Cedar Point has rides and attractions for kids of all ages! Camp Snoopy and Kiddy Kingdom will keep the little ones happy! 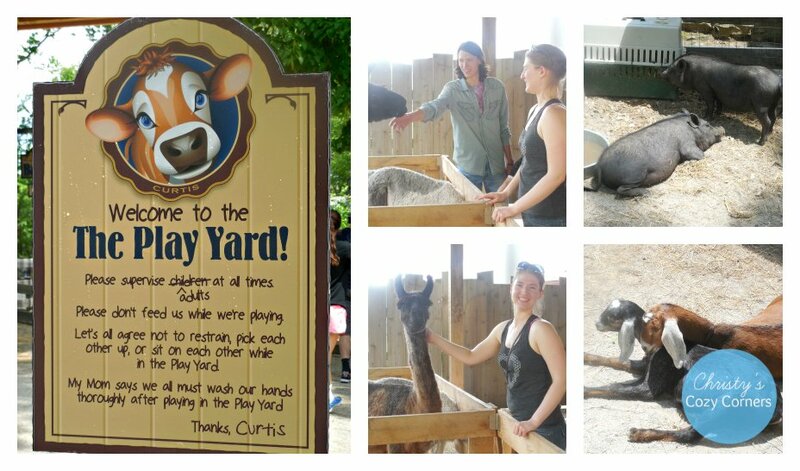 Animal lovers will love The Play Yard! We spent a lot of time petting the animals. You can feed them too if you’d like! 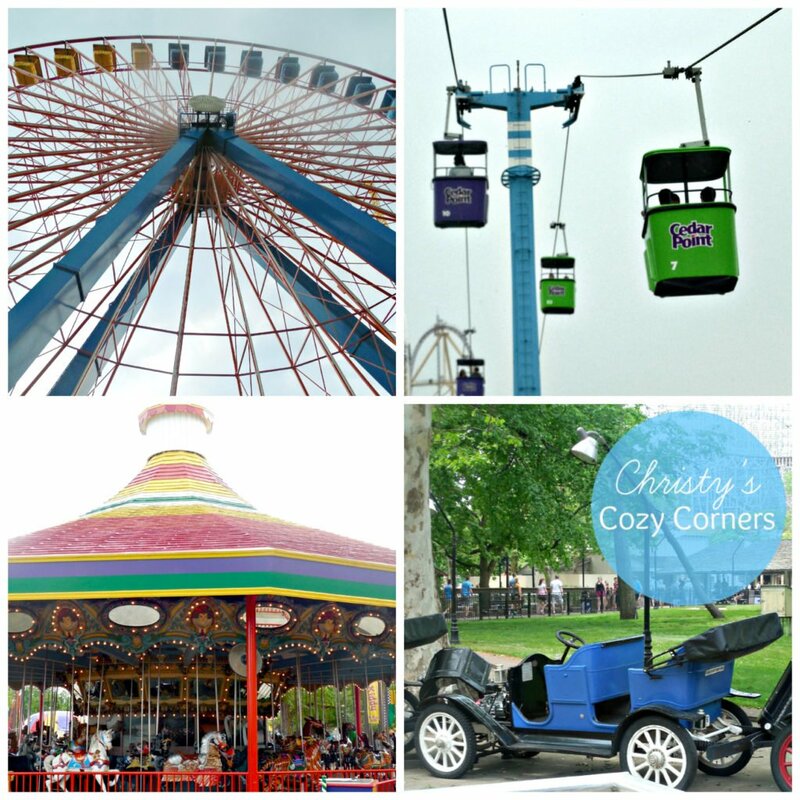 There are mild thrill rides like the Giant Wheel, Antique Cars, 2 Carousels, Sky Ride and more. These are more my speed! And, of course, Cedar Point has roller coasters! It is The Roller Coaster Capital of the World! 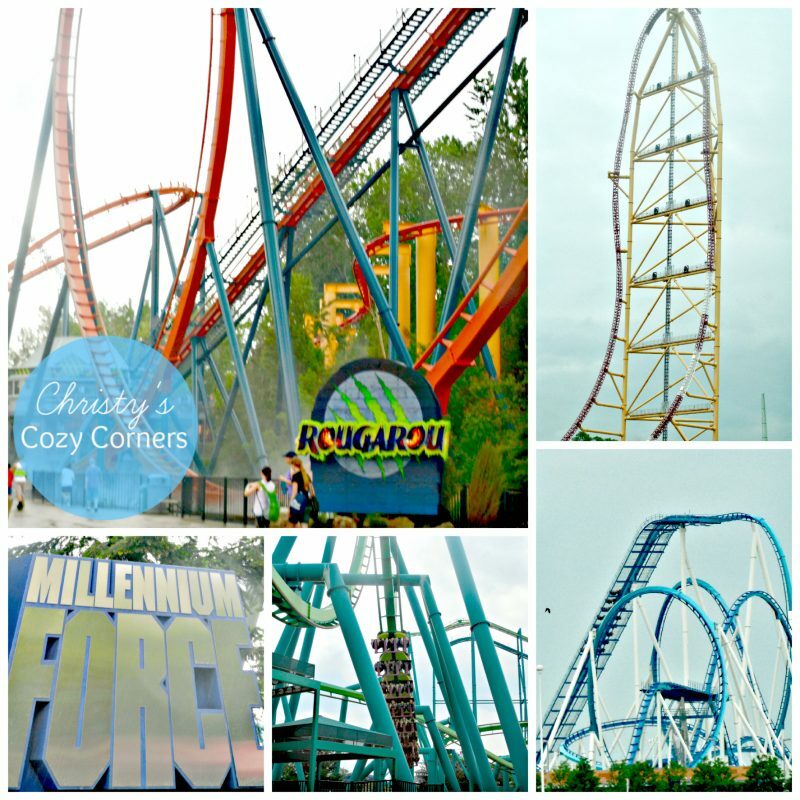 So if you are into big thrills, fast rides, huge drops and major adrenaline rushes, you need to get yourself to Cedar Point for rides like the brand new Rougarou, GateKeeper, Iron Dragon, Raptor, Top Thrill Dragster and more! 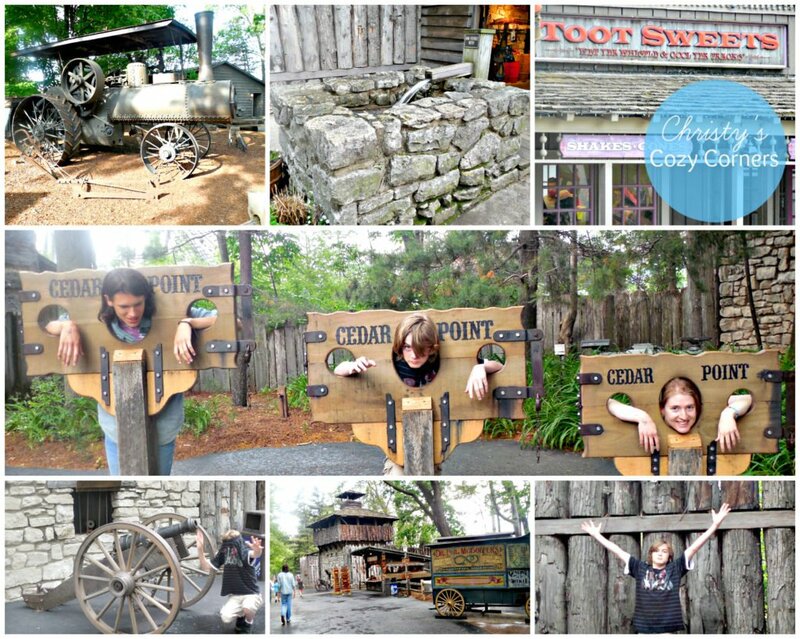 There is so much to do at Cedar Point! Fun rides, great treats, cool shops….no matter what you enjoy, you’ll find it during your visit! For more information, including hours and ticket prices, check out Cedar Point online! That sounds like an awesome getaway. Honestly, it’s not all THAT far from us, so it’s a totally doable summer roadtrip. This hotel looks super cozy and cute. And that park looks like a place the entire family would enjoy! I’d love to take the family to Cedar Point. We’ve never been there, but some of our friends say it’s a great time. I haven’t been to Cedar Point in YEARS! We don’t live all that far from there either. I should go more often. Oh wow, it looks like so much fun! And that hotel is gorgeous! I love the headboards on the beds :-). The pool looks like fun too! Looks like a fun place to bring the kids during the summer. Never been there before but heard great things about Cedar Point. Wow, this place looks really wonderful! I have never been to cedar point before, but it looks like they surely do have great hotels. This looks like soooooo much fun! The hotel looks beautiful! I’m pretty sure my son and his dad stayed at that hotel when they went to Cedar Point last. They said there was a great restaurant nearby with a view of the park too. I just love cedar point! We use to go once a year when I was a kid! Thinking this might be the summer we take my daughter. I think she will love it! She’d love all the fun kiddie rides! Stay at the hotel too because they’ve got a great pool area for the kids! I grew up going to Cedar Point quite a bit. It looks like they have made many advancements. I really hope to one day take my kids there too. Thanks for sharing your experience with us. They definitely have made a lot of changes since I was a kid! I remember going their for end of school trips! That looks like a really great place to take the family. I may be in that area this Summer and will have to check it out. 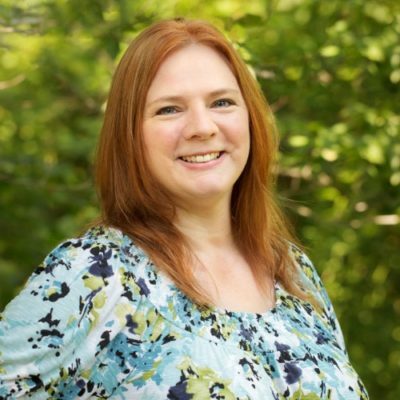 We are totally headed there in September for Bloggy Conference! I can NOT wait! I have always wanted to go to Cedarpointe and now that my 10 yr old is rollercoaster crazy…..we are going! That is where we are staying as well- looks sooo nice! You will love it! It is really nice and comfy! I love the way that hotel room looks. The amenities that come with the room are great, I think I would be very comfortable there. That pool is calling my name. This sounds like a perfect summer trip for my family. I need to look into this further! Looks like so much fun! I am just one state over from here and I definitely need to take my daughter soon! You need to! It is worth the trip! I’ve never heard of Cedar Point and didn’t even know where it was located. Looks like such a fun trip! My kids have always loved amusement parks. That hotel has certainly been around for quite a while and looks like an amazing place to stay. If you all are roller coaster fans, that it definitely worth the trip to Ohio! Wpw, I love the blue theme in that hotel, looks so much brighter! We haven’t been to Cedar Point but hopefully someday, we can visit. Looks like you all had a blast. We’ve never been to Cedar Point. Knowing that there is a lot of fun stuff for the whole family to enjoy there, I would love to go. Hopefully soon! Now that sounds like my kind of getaway! Great pictures, thank you for sharing. Looks like the kids had an awesome time. This seems like a fun place to visit. I would love to take the family to Cedar Point someday! Maybe when the kids are a little older so we can all ride the roller coasters! I’ve never been to Hotel Breakers but I have gone to Cedar Point just about every year of my life. It was a family tradition when I was younger. Now we go when we can. Sign me up, I’m ready to go!!! Looks amazing! P.S. Can I have your job? Sure! Come on over and we’ll go back! This is definitely on my list of places to visit. I’ve heard so many great things. Nice! For some reason, after I had children I got terrified of everything I used to love… including roller coasters! Wow! Hotel Breakers is a record breaker for sure. I mean, with their years in service, they are probably one of the oldest hotels that are still in full operation. How fun and exciting! This looks like the ideal fun, yet relaxing vacation spot for my family. What a great trip! I love hotels with history and this one has a lot!! Great review!! My kids would love to go to Cedar point. We have a great amusement park a few hours away from us the kids love to go to. Hotel Breakers looks like a fantastic place to stay. This looks like prefect getaway with family for the summer. The hotel looks comfortable and pool is nice! Good food eats near by makes it good location to stay. Haven’t been to Cedar Point since our 8th grade class trip. It’s such a fun place, I had no idea it had been around that long. This looks like so much fun! The hotel looks so clean and spacious, the theme park looks like so much fun my kids would love it there. This looks like a fun place to go visit! I love how there’s a petting zoo there! Wow! Looks like a great spot with lots to do. Nice rooms too. I love when you can stay & play in the same place. Spend more time enjoying instead of driving around. I desperately need a vacation right now and to have some fun. This place looks like it might be a perfect family getaway.